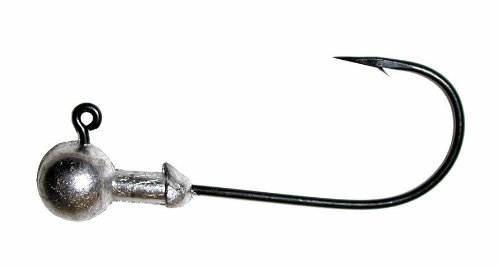 Our saltwater round head jigs are made with Mustad hooks and clean lead. All sizes available in natural lead and packaged 50 per pack. These do not have a barb, so they can be used for rigging or tying your own tails.